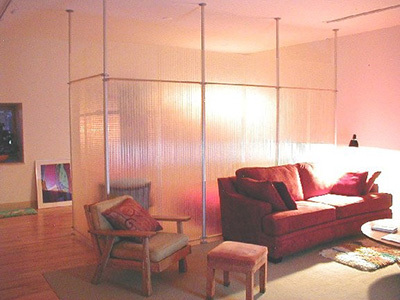 Translucent panels provide decorative interior partition walls providing various affects such as a shoji screen look, illuminated walls or as a light diffuser. 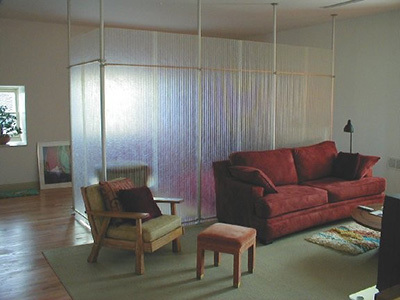 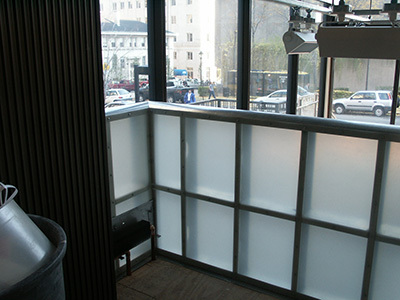 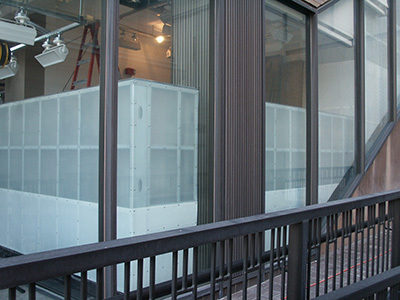 Examples of translucent panels used to provide privacy and still allow light to diffuse into the space can be seen are the right. 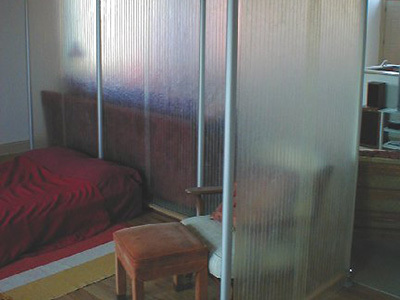 The effects are limited only by your imagination. 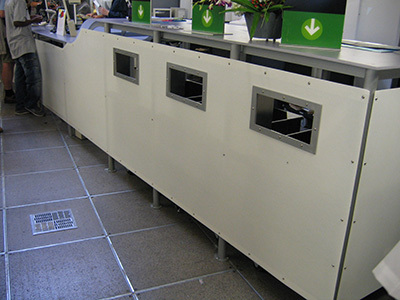 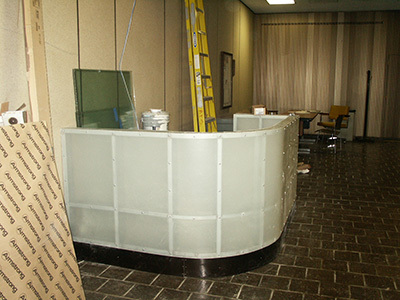 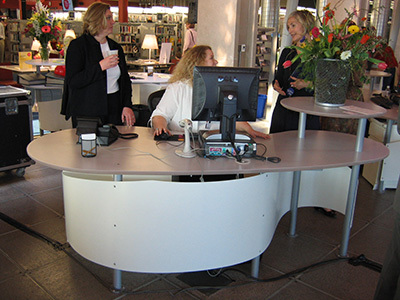 Panels may also be used for creative furniture designs or as a counter protection. 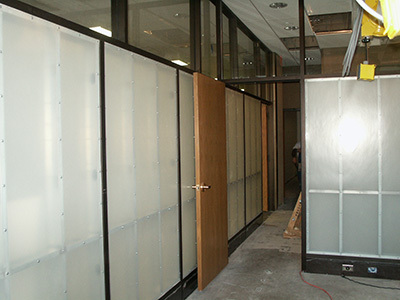 Mar, impact and scuff resistant, these opaque fiberglass are both attractive and highly durable in a highly trafficked public area. 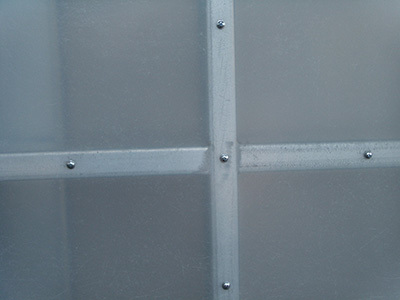 Mar, corrosive, mildew, impact and scuff resistant, opaque fiberglass interior wall panels provide a perfect barrier for many applications including sanitary wall coverings in bathrooms and kitchen areas, car and truck wash wall liners, agricultural buildings including dairy barns and livestock walls , refrigeration rooms, wainscoting and scuff liners to protect the inside of truck walls and buildings. 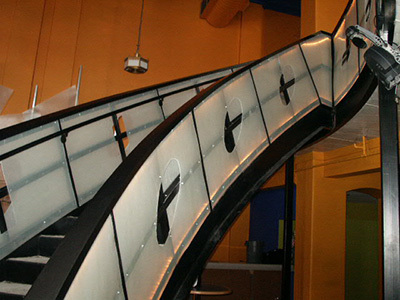 Click here for a fastener guide, side lap fastener guide, properties guide or a profiles guide.